Text: Anna Laméris and Kitty Laméris. Editing: Willem Laméris. Translation: Lien van der Leij. Graphic design: Eva Kohnstamm. Printing: Joh. Enschedé, Amsterdam. © Frides Laméris Glass and Antiques Amsterdam 2018. The catalogue is sold out. Anna Laméris. Editing: Kitty Laméris and Willem Laméris. Translation: Lien van der Leij. Graphic design: Eva Kohnstamm. Photography: Ferry Herrebrugh. Printing: Joh. Enschedé, Amsterdam. 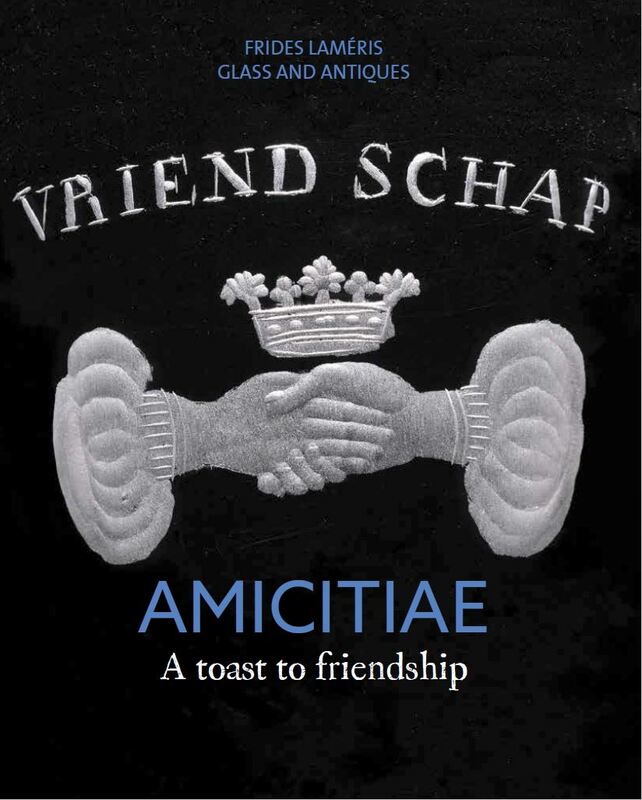 "The Dos and Berte Winkel Collection of Roman glassware is very special. Looking at the glasses one sees a big variety in shapes and colours: purple, honey-colour, brown, olive green, aquamarine, and countless shades of blue-green. Remarkable is the large number of irridescent glasses: glasses that have all the colours of the rainbow due to their centuries-long sojourn underground. in ancient times, the goddess Iris was the messenger of the gods. According to Greek mythology, a rainbow would appear as a bridge from heaven to earth whenever she needed to deliver a message...."
Kitty Laméris. Editing: Anna Laméris, Willem Laméris. Frides Laméris Art and Antiques, Amsterdam 2017. With special thanks to Bill Gudenrath and Eva Menovsky. 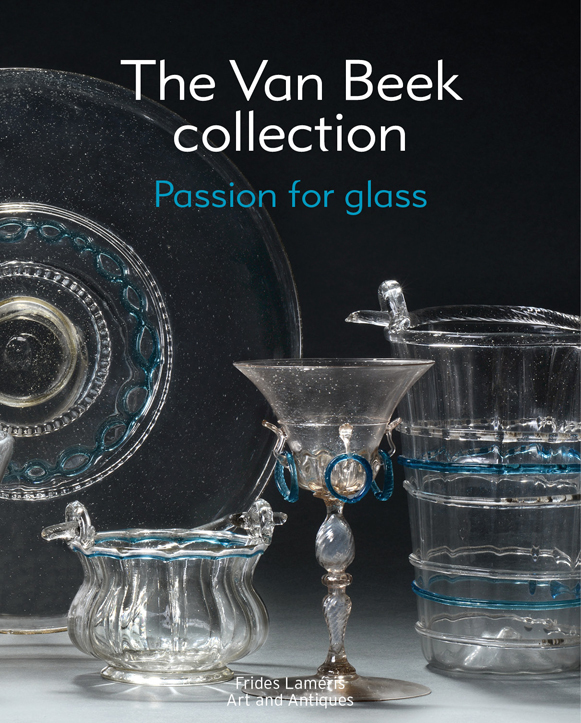 The sales catalogue of the Van Beek Glass Collection. "Joke and Jan van Beek were welcome guests in the shop. They became friends, friends with a critical eye, and we learned from one another. Joke was often able to recount singular details, particulary about glasses the couple had bought in France and which they would bring to the shop together to show us or to compare them with photographs in books from our library and with items we had on display. Knowledge was important, but in the end it was all about the beauty of the glasses." Anna, Kitty and Willem Laméris, Frides Laméris VOF, Amsterdam 2015. Consultant Glass Blower: Marc Barreda. Translation: Lien van der Leij. Photography glasses: Ferry Herrebrugh. Photography (glass blowing): Willem Laméris. Graphic Design: Eva Kohnstamm. Printing: Wilco, Amersfoort. Video: reconstruction of how a blue ball vase was made. 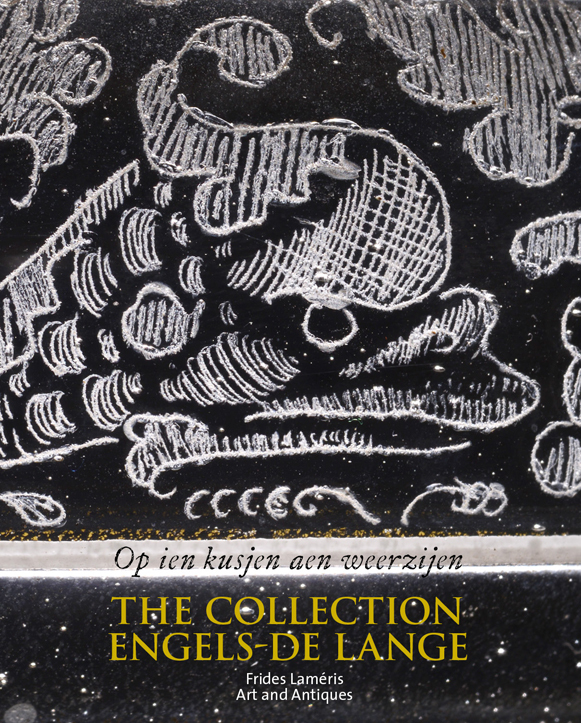 The sales catalogue of the Engels - de Lange Glass Collection. Anton Engels (1917-2013) and Anneke Engels-de Lange (1919-2013) were enthusiastic collectors. Their choice of glass was determined not only by aesthetic considerations, but also by the rarity of the piece. That could mean that the glass in question wasn't in perfect condition. Particularly when a glass was extremely rare and there was little likelyhood of finding an intact example --if indeed a second such glass existed at all-- they would overlook the damage. Anton and Anneke sought to compile a history of glass. But the real heart of their collection is made up of Venetian glass dating from the Renaissance. Anna, Kitty and Willem Laméris, Friodes Laméris VOF, Amsterdam 2015. With special thanks to Bill Gudenrath, Marc Barreda, Clara Klein, AIHV and Origine. Translation: Lien van der Leij, Photography glasses: Ferry Herrebrugh, Graphic Design: Eva Kohnstamm, Printing: Jo. Enshedé, Amsterdam. 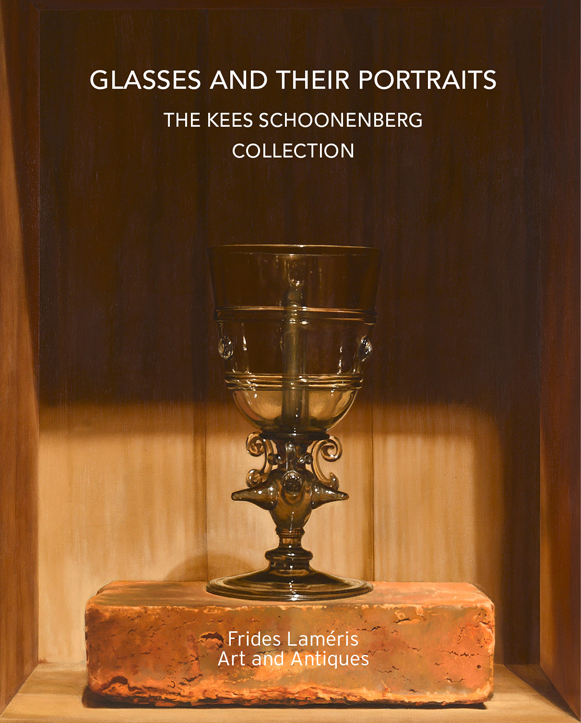 Sales Catalogue of the Kees Schoonenberg Glass Collection. This catalogue focusses on an important aspect of the life of Kees Schoonenberg: his passion for glass. 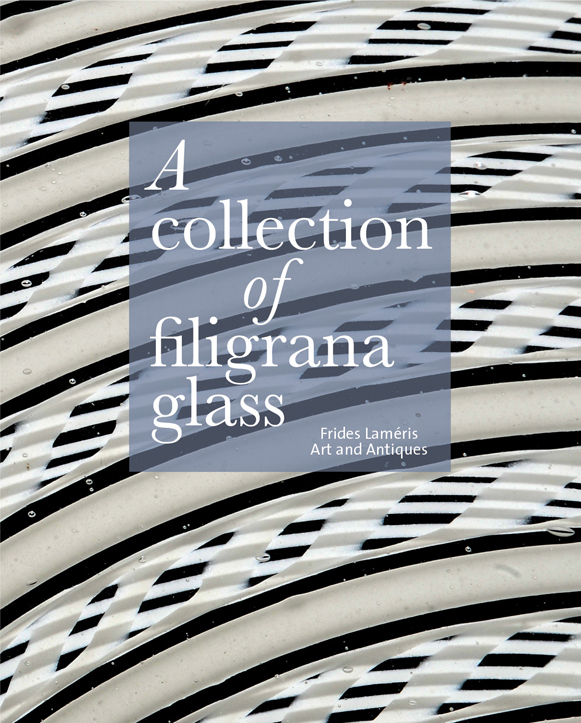 It is more than half a century ago that he bought his first glass from our father, Frides Laméris.. Schoonenberg started out by collecting eighteenth century English and Dutch twist and ceremonial glasses. After two decades he became increasingly fascinated by another type of glass: sixteenth and seventeenth century Venetian glass and glass á la Façon de Venise. It's this last type what this catalogue is about. Anna, Kitty and Willem Laméris, Frides Laméris VOF, Amsterdam 2014. Video: reconstruction of how a glass fountain was made. In the 1970's and 1980's Hendrik Reinart Germs (1925-2009) built up an impressive collection of twist glasses. Rather than hunt around for the one or two pieces still missing from his collection, Germs reflected on how he might take his collection in a new direction, adding depth and breadth so that he could continue collecting for years to come. He found the answer in sixteenth and seventeenth Venetian and Façon de Venise glass of the filigrana type: clear glass decorated with threads of white glass. Not an entirely new departure when one considers that this mode of decoration must have been the source of inspiration for the makers of Germs' twist glasses one and two centuries later. Kitty Laméris, Frides Laméris VOF, Amsterdam 2012. Video: reconstruction of how filigrana glass was made. 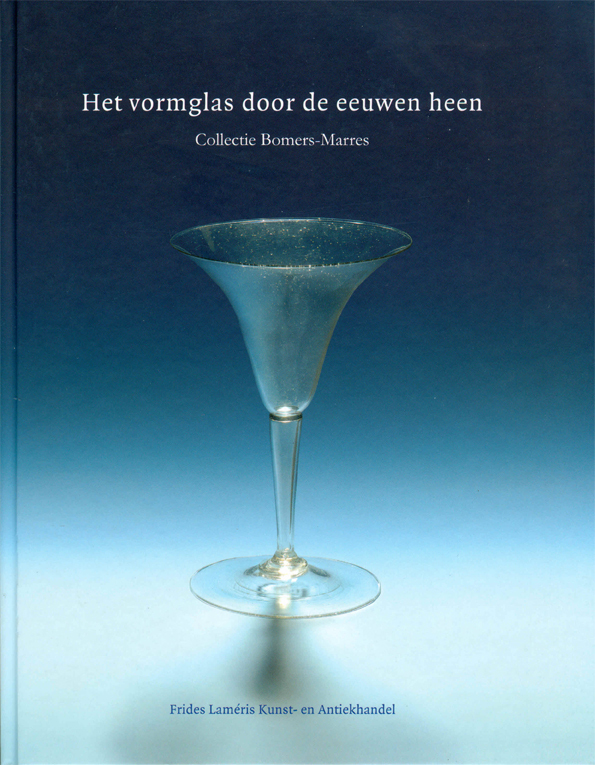 The sales catalogue of the Bomers-Marres Glass Collection. Mr and Mrs Bomers-Marres concentrated with their glass collection on form. 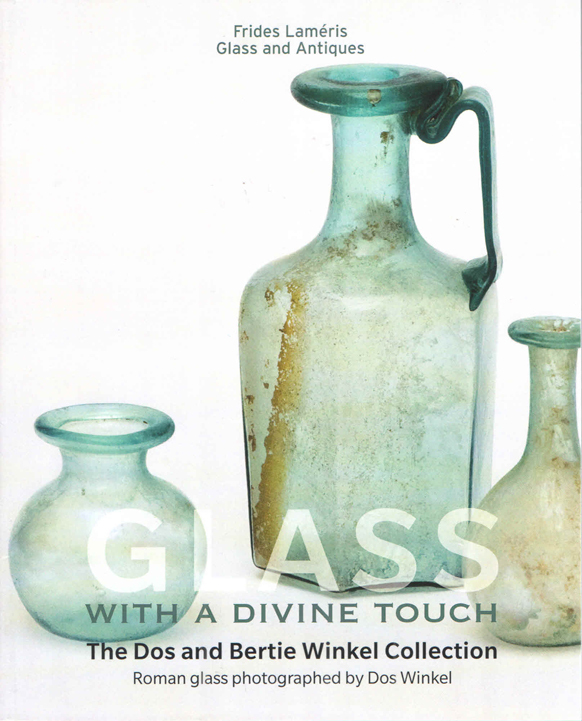 Hence in this publication the emphasis is on the beautiful shape of each individual glass, more than on the history of glass or on the history of certain shapes. The architecture of a glass is strongly influenced by the material it is made of. This can inspire a glass blower, but he in certain cases also may be restricted by it. One type of glass is extremely dependant on it's shape: colourless glass. This collection one can see as an introduction to the evolution of colourless glass. Because the Bomers-Marres collection contains so many centuries of glass, it is possible to show an example of almost every period. Anna Laméris, Kitty Laméris, Frides Laméris VOF, Amsterdam 2006. Photography: Ferry Herrebrugh. Graphic design: Caroline Hoogervorst. Printed by Lochemdruk, Lochem. The exhibition Venetiaans en Façon de Venise glas 1500-1700 in the Nieuwe Kerk in Amsterdam is together with an exhibition about Venetian book printing in the Koninklijk Paleis on the Dam square, the completion of a series of activities that were held in Amsterdam organised within the manifestation Amsterdam - Venice. 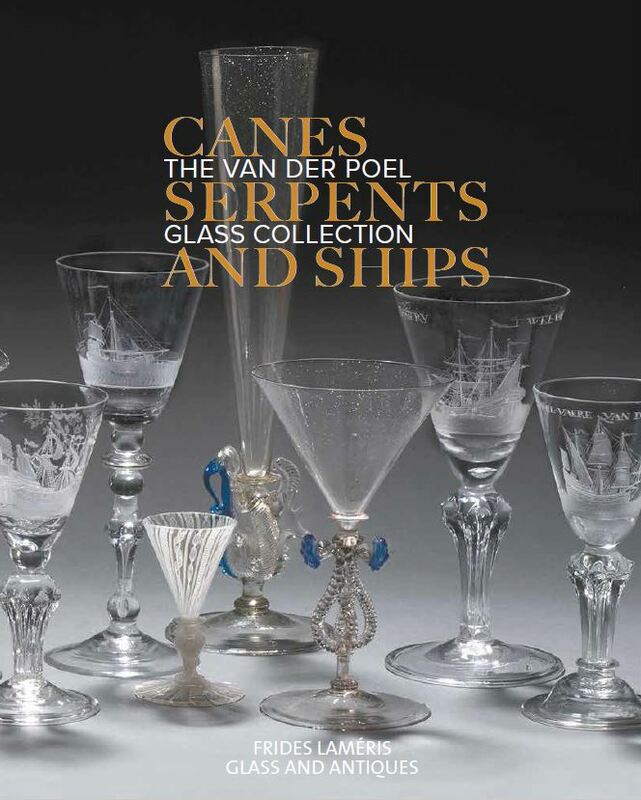 A group of twelve private Dutch collectors were enthusiastically willing to loan their valuable, fragile and most precious glasses from which Frides and Kitty Laméris were given free choice to pick the best examples for this exhibition. 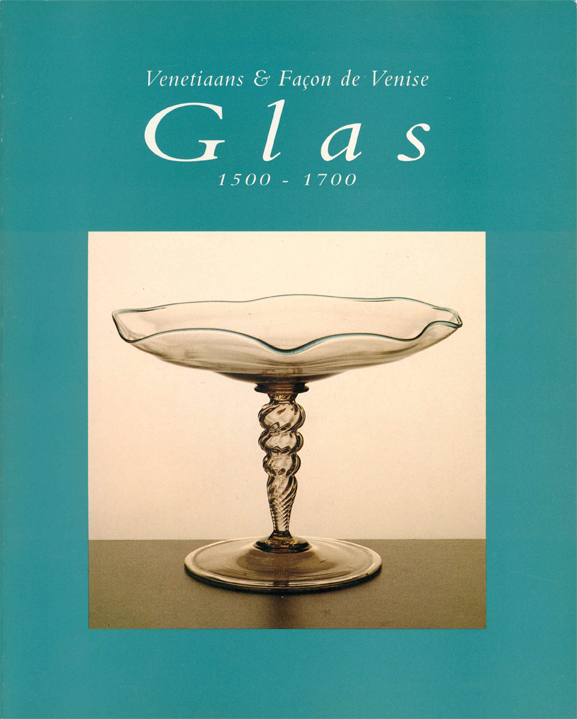 Because of these collectors it was possible to give a good impression of how glass develloped in Venise from 1500, and of how glass in the Netherlands was made under influence of the Venetians until 1700. Assembled by Frides Laméris and Kitty Laméris, Lochem 1991.